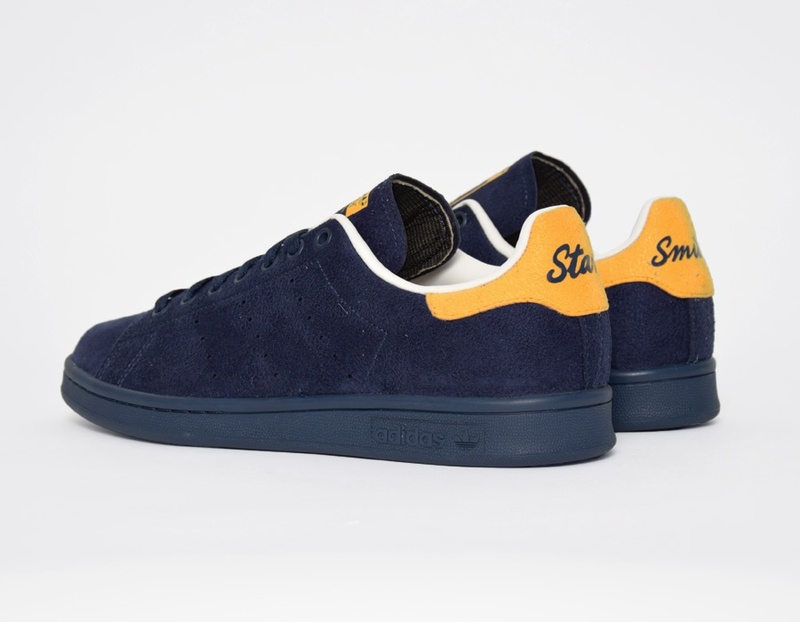 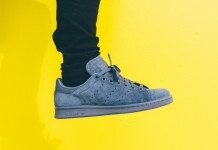 adidas Originals Stan Smith "Collegiate Navy"
The ever-popular adidas Stan Smith sneaker receives a smooth suede treatment in this debut of the “Collegiate Navy” colorway. 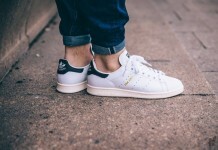 As a natural born midwesterner who grew up watching college football and basketball, one can’t stop to think that the Wolverines of the University of Michigan played a role in inspiring adidas to sport a majorly navy blue sneaker with golden maize accents on the tongue and heel. 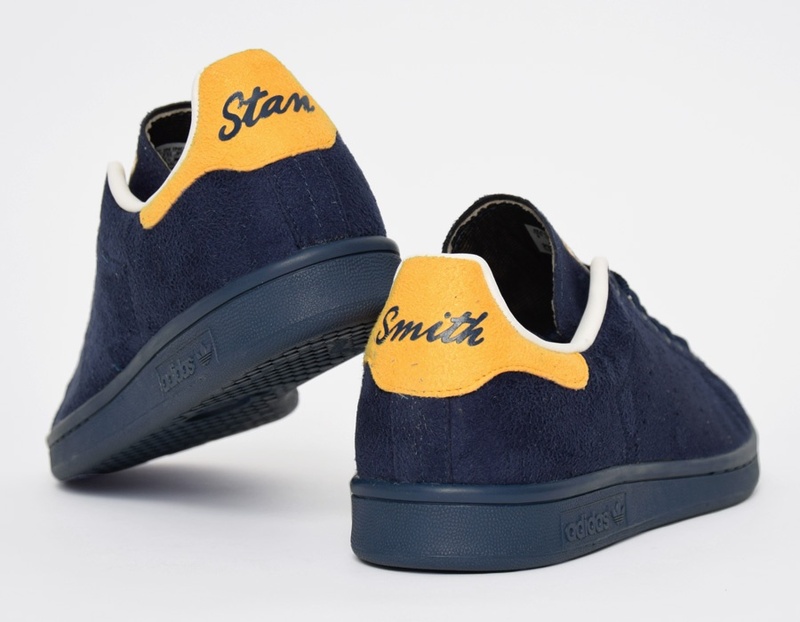 To complete the collegiate feel, adidas did away with the standard logo on the heel and replaced it with “Stan Smith” printed in a sleek script. 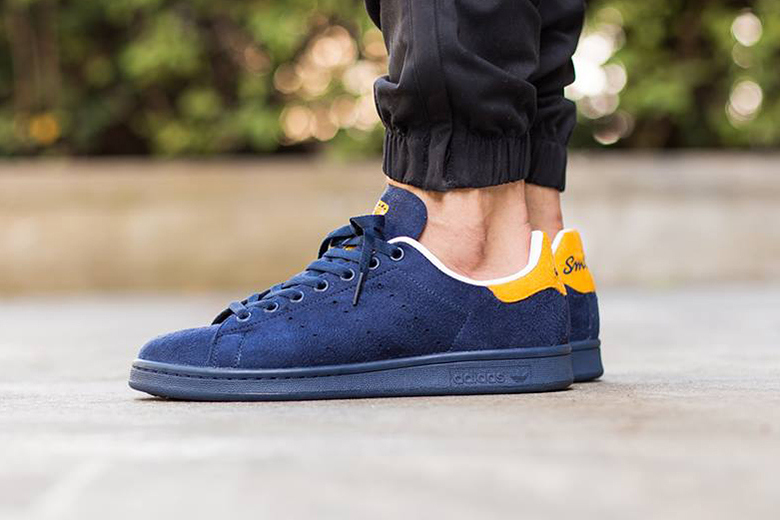 The adidas “Collegiate Navy” Stan Smith is available at retailers now!